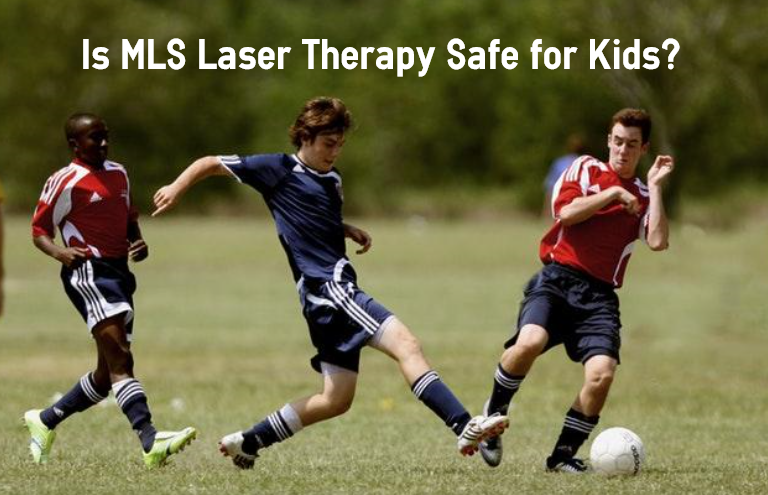 Can Children Get the MLS Laser Therapy? Children can get foot pain. Heel pain, achilles tendonitis, and sprained ankles are common complaints in children. Children can experience foot problems from simply growing, starting a new sport or over use from a sport. The main goal in treating children is to treat them quickly and efficiently because, as we all know, children rarely slow down. The chances of a child actually taking the time to give their body a rest and time to heal is very slim. Our MLS laser is safe for children. The laser works to stimulate the body to start healing the injured or painful area all on it's own. We understand a main concern for parents is to not have their child take medication or face a surgery with a long recovery. The MLS laser has no side effects and is done right in the office. The laser is completely painless and does not require any needles or anesthesia. The laser only takes 6-10 minutes. The laser treats most common foot problems and is great for injuries. Since it has no side effects, requires no down time or needles, it is a great treatment option for children.